"The Two Foscari" redirects here. For the painting of that title, see The Two Foscari (painting). I due Foscari (The Two Foscari) is an opera in three acts by Giuseppe Verdi to an Italian libretto by Francesco Maria Piave, based on a historical play, The Two Foscari by Lord Byron. 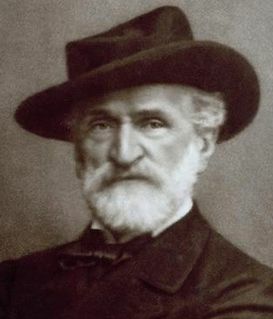 After his success with Ernani , Verdi received a commission from Rome's Teatro Argentina and he went to work with Piave in considering two subjects, one of which eventually became this opera. 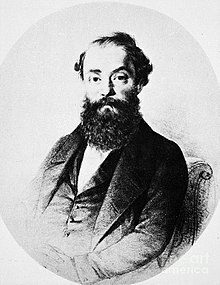 I due Foscari was given its premiere performance in Rome on 3 November 1844 and was generally quite successful, although not on the scale of Ernani, which remained Verdi's most popular opera until Il trovatore in 1853. Largo di Torre Argentina is a square in Rome, Italy, with four Roman Republican temples and the remains of Pompey's Theatre. It is in the ancient Campus Martius. Lorenzino de' Medici, also known as Lorenzaccio, was an Italian politician, writer and dramatist, and a member of the Medici family. He became famous for the assassination of his cousin, Alessandro de' Medici, Duke of Florence. Upon receiving the libretto by mid-May, the composer sent a long series of letters to the librettist over several months instructing him on many points where changes were needed. 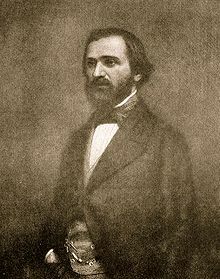 They revealed "the extent to which Verdi intervened in the making of the libretto, a good deal of the large-scale structure of the opera being dictated by his increasingly exigent theatrical instincts." With the music completed over the summer, I due Foscari was given its Rome premiere performance on 3 November 1844. The first performances in the UK were given in London at Her Majesty's Theatre on 10 April 1847. In the US, the opera was first presented in Boston on 10 May 1847. 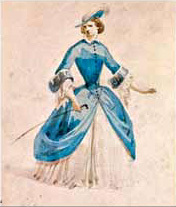 Paris saw a production in December 1846 at the Théâtre des Italiens, and it was taken up by several major Italian opera houses. In modern times Foscari has received numerous productions. There was a flurry after the Second World War (Vienna, Barcelona, London, Leningrad, New York),and following a La Fenice staging in 1957 under Tullio Serafin, Piero Cappuccilli led many performances around Italy at the end of that decade and the during the next, with the 1968 Rome production being taken up at the Metropolitan and in Chicago. In 1977 was performed in Barcelona Liceu with Vicente Sardinero and Pedro Lavirgen. La Scala presented it in 1988, also with Renato Bruson, a version which is available on DVD. It was performed by the Teatro di San Carlo in Naples in 2000 and recorded on DVD. The Royal Opera presented the opera in June 1995 with Vladimir Chernov and June Anderson in the major roles. Florida's Sarasota Opera included it in March 2008 as part of its "Verdi Cycle". It was presented during the 2008/09 seasons of La Scala and the Bilbao Association of Lovers of Opera (ABAO) in Bilbao, Spain. Members of the Council of Ten are waiting to enter the Council Chamber to try the case of Jacopo Foscari, the son of the Doge, who has been accused of murder. Upon the arrival of Loredano (Jacopo's sworn enemy) and his friend Barbarigo, they announce that the Doge has already entered the Chamber. They all enter the Chamber. Having recently returned from exile, Jacopo is brought from the prison and expresses his love at seeing Venice again: Dal più remoto esilio / "From the most distant place of exile". When summoned to enter the Chamber and told that he can expect the Council to be merciful, Jacopo explodes in rage: Odio solo ed odio atroce / "Only hatred, cruel hatred, is locked within their breasts". He enters the Chamber. Lucrezia Contarini, Jacopo's wife, learns from her ladies in waiting that the trial is proceeding in the Council Chamber. She quickly demands to see the Doge, Jacopo's father, but is told that she should pray for Jacopo's freedom. Angrily, she implores heaven to be merciful: Tu al cui sguardo onnipossente / "Thou beneath whose almighty glance all men rejoice or weep". Her friend Pisana enters in tears; she relays the news that Jacopo has been sentenced to further exile and this provokes another furious outburst from Lucrezia: La clemenza! s'aggiunge lo scherno! / "Their mercy? Now they add insult!". Pisana and the ladies beg her to trust in the mercy of God. The Council of Ten leaves the Chamber proclaiming that the evidence was clearly sufficient to convict Jacopo and that their actions will be seen as just and fair. The Doge, Francesco Foscari, enters and wearily sits down. He expresses anguish at what has happened to his son but, as his father, feels there is nothing he can do to save him: O vecchio cor che batte / "Oh ancient heart that beats in my breast...". In tears, Lucrezia comes in and, when she tries to decry the actions of the Council, Francesco reminds her of his position as upholder of the law of Venice. Angrily, she denounces the law as being filled only with hatred and vengeance and demands that he return her husband to her: Tu pur lo sai che giudice / "You know it all too well". 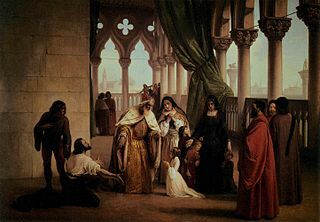 The scene ends with the Doge lamenting the limits of his power and the conflicts between being both ruler and father, while Lucrezia continues to demand his help. The sight of his tears gives her some hope. Jacopo is alone in prison and laments his fate. He imagines that he is being attacked by Carmagnola, a famous condottiere (soldier) who was executed in Venice (Non maledirmi o prode / "Mighty warrior, do not curse me", and he faints. Still delirious, he finds Lucrezia is with him; she tells him of the Council's decision and the punishment of further exile. However, she tries to keep some hope alive and promises to join him in exile if need be. The Doge arrives and declares that in spite of the fact that he was forced to act severely, he loves his son. Jacopo is comforted – Nel tuo paterno amplesso / "In a father's embrace my sorrow is stilled" – but is further disturbed by the Doge's claim that his duty must override his love of his son. Loredano arrives to announce the official verdict and to prepare Jacopo for his departure. He is contemptuous of the pleas of the Foscari and orders his men to remove Jacopo from his cell. In a final trio, Jacopo, the Doge, and Lucrezia express their conflicting emotions and, as Jacopo is taken away, father and daughter-in-law leave together. Loredano is adamant: there shall be no mercy and Lucrezia and her children will not be allowed to accompany Jacopo on his banishment. The Doge laments his inability to help, acting, as he must, in the role of Doge before that of father. Lucrezia enters with her two children. Jacopo embraces them while Lucrezia pleads with the councilors to no avail. Jacopo is taken away. While the people who have gathered express their joy at being together, Loredano and Barbarigo wait for the galley that will take Jacopo away to exile. He is led out, followed by his wife and Pisana, and expresses his feelings for Lucrezia: All'infelice veglio / "Unhappy woman, unhappy through me alone". Together, in a huge choral number, Jacopo, Lucrezia, Pisano, Barbarigo, Loredano, and the people of Venice each express their feelings. Jacopo begins: O padre, figli, sposa / "Father, children, wife, I bid you a last farewell", and the scene ends with Jacopo escorted onto the galley while Lucrezia faints in Pisana's arms. The grief-stricken Doge expresses his feelings – Egli ora parte! ("Now he is going!") – and pictures himself alone in his old age. Barbarigo brings him proof that his son was in fact innocent, while Lucrezia comes in to announce Jacopo's death: Più non vive... l'innocente / "He is no more... the innocent". As she leaves, a servant announces that the Council of Ten wish to meet with the Doge. The Council, through its spokesman Loredano, announces that it has decided that Francesco, due to age, should give up his position as Doge. Angrily, he denounces their decision: Questa dunque è l'iniqua mercede / "This then is the unjust reward...". He asks for his daughter-in-law to be brought in and gradually lays down the trappings of his office. When Lucrezia enters and addresses him with the familiar title "Prince", he declares "Prince! That I was; now I am no longer." Just then, the bell of San Marco is heard announcing that a successor has been chosen. As it tolls a second time, Francesco recognizes that the end has come: Quel bronzo feral / "What fatal knell". As the bell tolls again, he dies; Loredano notes that "I am paid." "No other of Verdi's early operas, apart from Macbeth , so effectively cuts the Gordian Knot of tradition,"  so Budden tells us. What does he mean? He goes on to explain that "not one of the cabalettas begins with the usual instrumental anticipation...[....].. the numbers are welded together with greater coherence even than Ernani...[....and...].. the scoring is more sensitive than in any of the operas previously written and a good many written after..."  In all, Foscari is more of a step forward than might be initially imagined. 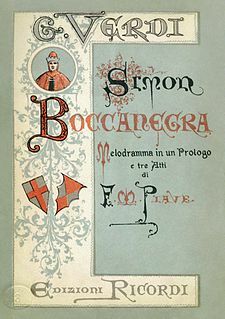 The Two Foscari: An Historical Tragedy (1821) is a verse play in five acts by Lord Byron. The plot, set in Venice in the mid 15th century, is loosely based on the true story of the downfall of doge Francesco Foscari and his son Jacopo. Byron's play formed the basis of Verdi's opera I due Foscari. ↑ Quoted in Budden, p. 179, but noted that it has been quoted in Francis Toye's Giuseppe Verdi: His Life and Works from 1931. ↑ 'Verdi: I Due Foscari'. In: Kaminski, Piotr. Mille et Un Opéras. Fayard, 2003, p1566. ↑ "I due Foscari". Operabase. Retrieved 26 March 2018. ↑ "I Due Foscari". Naxos.com. Retrieved 15 June 2014. 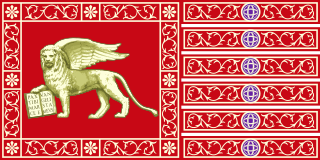 Wikimedia Commons has media related to I due Foscari . [http://operabase.com/oplist.cgi?from=01+01+2001&is=I+due+Foscari&sort=DList of performances of I due Foscari] on Operabase .